Nepal is going to use Visakhapatnam Port as an alternative EXIM (Export-Import) gateway. 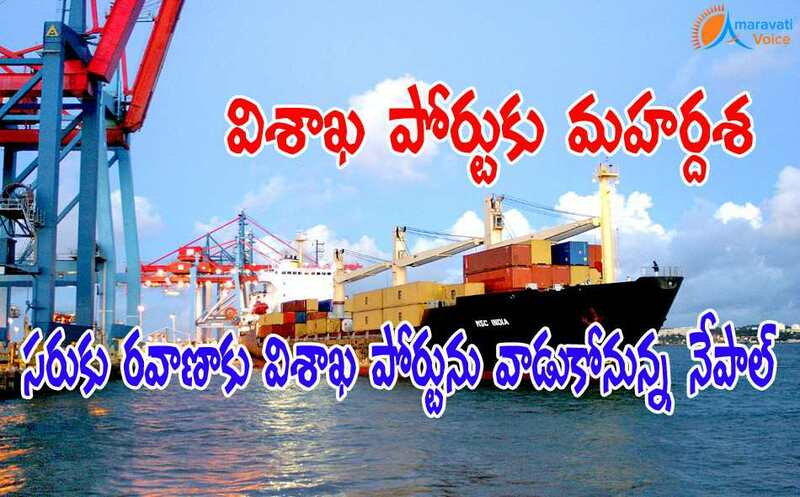 Nepal is going to use Visakhapatnam Port as its second transshipment point for EXIM. Nepal is already using Halida port (Kolkata) for the past seven years, which handles around 40,000 TEUs of Nepal’s cargo every year. Due to many problems faced in Halida port, Nepal has asked Government of India, to use Vizag port as an alternative. The Letters of exchange were signed in the last trip of Prime Minister to Nepal. The LoE is signed between Prime Minister Narendra Modi and Nepalese counterpart K.P. Sharma Oli. While one LoE will provide for transit facilities for Nepal through the Visakhapatnam port, the other will allow for rail transport between Visakhapatnam and Nepal. Vizag port is about 1,440 km from the Nepal border. The port has a handling capacity of 350,000 TEUs a year and the waiting time for container vessels here is less than two hours. Apart from this, it is directly linked to the inland container depot at Birgunj (nepal), which is in Nepal, by rail. Container Corporation of India too is willing to run container trains from Vizag to Birgunj. There are other advantages like lesser turn round time of vessel, congestion free and demurrage free operations, possibility of acting as distribution hub and good connectivity to the East Asian countries, among others.